When you buy new window treatments, you have many choices—color, style, texture, functionality. You also choose the type of lift system that will work best for you. 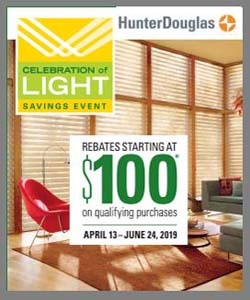 Hunter Douglas, the leader in the window fashions industry, has designed numerous kinds of lift systems, all with various benefits. 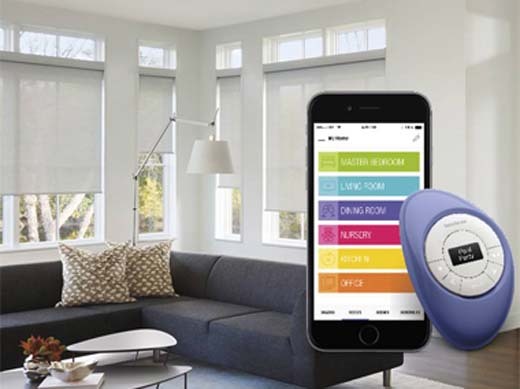 The best of them, by far, is PowerView Motorization, which could be a great option for your next purchase. 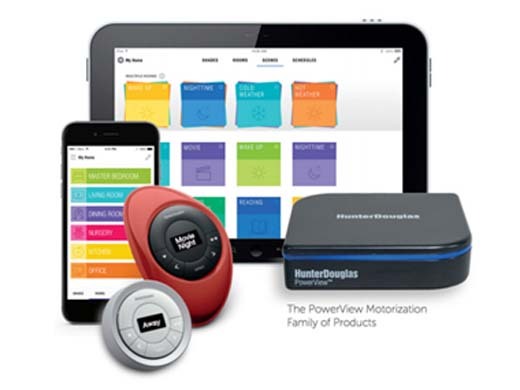 To see PowerView in action, speak with a Bretz Interiors specialist here in Denver today. We’ll be happy to show you! With PowerView, you have the power to customize room settings how and when you want, from your smartphone, a tablet, or the PowerView® Pebble controller. Program your perfect settings, and let PowerView do the rest. Does all of this sound complicated? 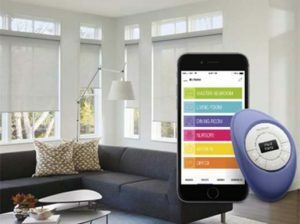 Don’t worry—most PowerView shades are battery-operated, so they are easy to install, operate, and maintain. Plus, because it’s completely cordless, you will have a safer environment for pets and children. Our showroom has a wide variety of displays and our sales team is happy to assist you with any questions you may have! We serve residents and businesses in the Denver area including Arvada, Wheat Ridge, Lakewood, Golden, Westminster, Littleton, Morrison, and neighborhood of Applewood, CO. Visit our showroom or call for free in-home consultation today!